Otto Guevara was chosen by Movimiento Liberatio party supporters as their candidate in the 2018 presidential elections,. This will be Guevara’s fifth consecutive attempt at the presidential chair, after losing the four. 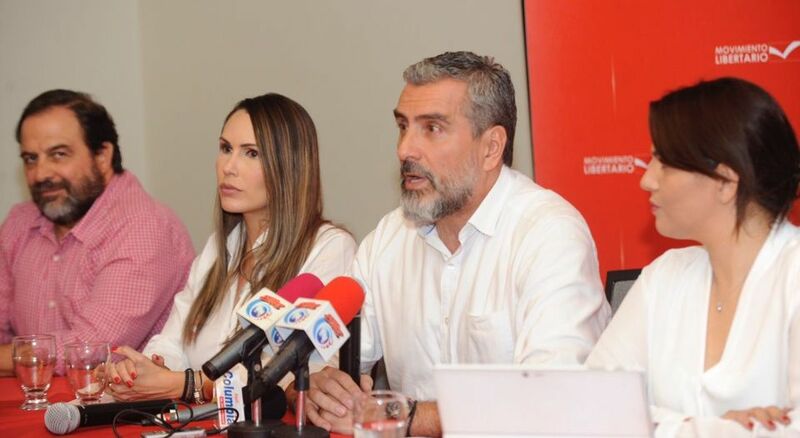 The man who really, really wants to be the president of Costa Rica, Otto Guevara Guth, will have his fight try at the presidential chair following his winning the Movimiento Libertario party nomination on Sunday. The Libertarian legislator won his party’s internal convention on Sunday, defeating the challenge by legislator Natalia Diaz, to become the party’s candidate in the February 2018 presidential elections. With 95% of the voting results scrutinized, Guevara counted with 60% of the votes (1,795), while his opponent 40% (1,215). In total, a little more than 3,000 people of the 9,000 plus registered, voted. Although he acknowledged that he would have liked to have seen a greater number of attendees, Guevara said he was content because this is the first convention with voting by the supports of the party. In the four previous processes, the presidential aspirant was elected during a party leadership convention. Guevara has run and lost in 2002, 2006, 2010 and 2014. The legislator deflects criticism of the fact that he has lost four (consecutive) elections. 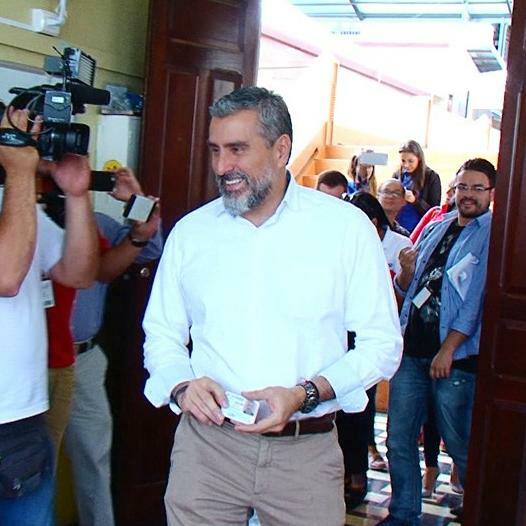 Sporting a full beard and showing more gray than in the past, the ML candidate says that to the contrary, the failed attempts gives him an advantage over his rivals, having now more experience, maturity, temperament and a being candidate who knows what mistakes not to commit again. “Our party is that of people who want work, who want to live safer, who want their income to reach their goals, who want something different of that of other political parties,” said Guevara on accepting the nomination during an even Sunda night at the Park Inn hotel in San Jose’s barrio Don Bosco. With Guevara there are already nine presidential candidates defined: Antonio Álvarez, of the Liberación Nacional (PLN); Carlos Alvarado, de Acción Ciudadana (PAC); Juan Diego Castro, of the Integración Nacional; Edgardo Araya, of the Frente Amplio (FA); Rodolfo Hernández, of the Republicano Social Cristiano; Rodolfo Piza, of the Unidad Social Cristiana (PUSC); Sergio Mena, of the Nueva Generación; and Mario Redondo, of the Alianza Demócrata Cristiana. Editor’s note: Luis Guillermo Solis, the current President of Costa Rica, cannot run for a consecutive term. For the 2006 elections, a constitutional reform permitted re-elections, giving Oscar Arias his second term. Sitting presidents must wait out one term.